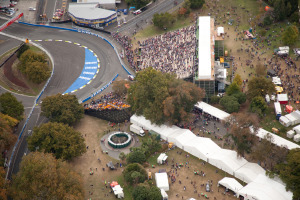 Undoubtedly, the biggest sporting event to be staged in New Zealand on a regular basis. It's spread-out nature & shear size made it a logistically intense event to cater for. achieved using ECL's digital processing & microwave transmission capabilities. 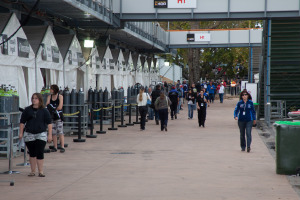 pit garages, event management offices, media, EOC (emergency operations centre), corporate facilities & numerous big screens located at key positions around the site. of which included installation of custom stands. ECL employed it's DVB-T COFDM capabilities to deliver high quality digital television directly to each monitor. The same format is utilised by Freeview NZ. common pipe where possible, minimising cabling requirements.